Really a job well done. The cake tasting session was courteous and professional and we were presented with LOTS of succulent flavors and toppings. Our wedding cake was elegant, moist, and delicious and was exactly made to our specifications. Cake arrived on time for our event. Only bummer (not CSS fault) was whoever packed our top layer didn’t secure or wrap it and was later found damaged and spoiled :( so next year we’ll order an identical top layer to share on our first anniversary. Would definitely order from CSS again. Additionally, the cake was an absolute bargain as we found most bakers in the area were overpriced and some even pretentious. 10/10 would use again. The service and cakes are amazing. I dont get cakes from no other place. Love it love it love it!!!!!!!! Cake So Simple did our wedding cake. It was awesome! Everyone loved it! Would definitely recommend them to everyone! Our Wedding Cake was beautiful and delicious. I would highly recommend Cakes So Simple for any special occasion. Everyone was so nice and willing to help meet our requests. The entire experience was delightful. Cakes So Simple was so easy to work with. They listened to what we wanted and made exactly how we described. Not only the cupcake cake tier looked beautiful, it tasted even better. Everyone at my daughter's wedding commented on the gorgeous display which made me extremely happy with my choice to hire Cakes So Simple. The cake was exactly what we asked for and more! Taste, looks, delivery, everything was perfect. One less thing I had to worry about on the big day! I knew it would be good but I got exactly what I wanted! The cake looked amazing and tasted just as good. I would highly recommend for a wedding or even a birthday. The cake looked amazing and was delicious. They were very professional, prompt and flexible! I would definitely recommend them for any event!! Linda and her staff are very professional and accommodating. 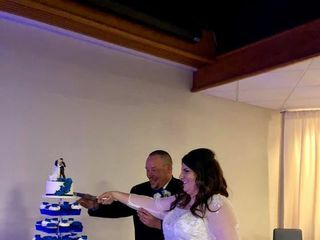 Everyone at the wedding loved the cake. Super tasty and moist. Highly recommend them for any occasion. Linda's cakes are. So. Good. We're still working on ours 2 weeks later! Would highly recommend them. They are delicious and flexible. I'll start off by saying I am a huge cake person. 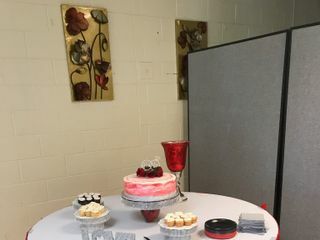 Our cake tasting appointment was so much fun and they gave us so many flavors to try, all of them were delicious. Our wedding was this Sunday and let me tell you our cake tasted even 10 times better than at the tasting!! It was unbelievable! Very moist, the buttercream is my new fav ever. You will not be dissapointed! 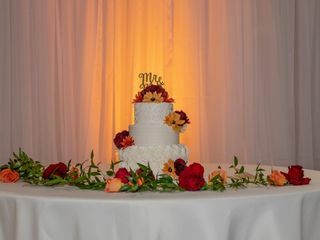 My wife and I purchased a cake and cupcakes from Cakes So Simple from our wedding and we received so many compliments about how beautiful the cake was and how delicious it was. It was so delicious that I only got one bite and we bought a second cake on the way home from our honeymoon just so I could have a full helping of it! Linda and her staff are so incredibly nice and they know that their work is top notch and that they come second to none. If you're within an hour or two of them and they'll deliver the cake (even if they won't) you have to get a cake from Linda. Cake So Simple made our wedding cake and it was AMAZING. Not only did it look beautiful, but it tasted amazing! We had three different flavors in our four tiered cake and had so many compliments on how delicious it was. We can't wait to eat the top tier on our one year anniversary! My cake was absolutely gorgeous AND tasted amazing! I had a lot of guests compliment the cake and wanted to take some home. We all enjoyed for a few days after the wedding too. 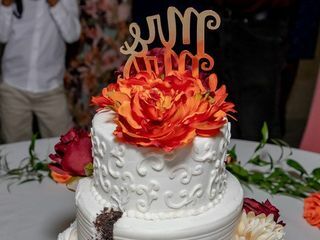 Cakes So Simple provided a beautiful and delicious cake for our beachside wedding! We couldn't have been happier with the quality of service and product we received. Our first interaction with Linda Lee was at the cake tasting. We were not expecting to have so many different flavors of cake, filling, and frosting to try! This was my favorite part of the wedding planning! We ate one great sample cupcake after the next. We left overstuffed and with a very difficult decision to make. Communication was prompt and Linda Lee made sure to reconfirm our selections when she was ready to start creating our cake. When the cake arrived to the venue, I couldn't believe how beautiful it was! I would definitely recommend Cakes So Simple for your wedding or special event! LOVED LOVED LOVED our cake. Our cake was so reasonably priced and delicious. The process was easy and personal. We had strawberry cream on the bottom and pistachio almond on the top. So good! 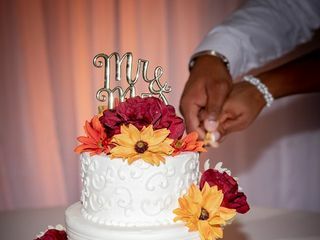 My husband and I were married on March 10th, 2018 and Cakes so Simple was recommended to us by our venue Field Manor. We went for a tasting and picked out our cake for our three tiered naked cake. They executed it perfectly! The carrot cake was a huge hit with my guests! Definitely recommend that flavor!! Thank you Cakes so Simple for such a delicious cake! YUMMY!! From the tasting to our wedding day, we were so pleased we chose Cakes so Simple to make our cake. We went with a smaller two tiered cake with mini cupcakes for different flavor options for guests. During the tasting it was so hard to narrow down the cupcake flavors because they were all so amazing! The cake was beautiful, the guests loved the desserts and I couldn't have been happier! And the whole process was so easy from start to finish. 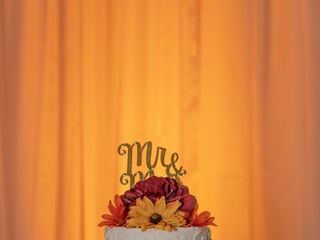 You will not be disappointed choosing Cake So Simple for your next wedding or event. We LOVED working with Linda! She was friendly and wanted to create our dream cake. Our initial appointment and tasting with Linda was so fun and yummy! She gave us such great samples and on our wedding day the flavors we chose were no short of delicious! The cake was beautiful and just what we wanted in quality and size. Everything was delivered and set in place without us even knowing it. The guests loved it and so did we. Thanks Linda! Linda was such a joy to work with! 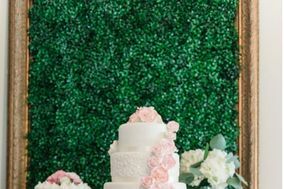 From the moment we met her, Linda was professional, kind, considerate, and helped us pore through her MANY examples of gorgeous wedding cake designs and flavors. 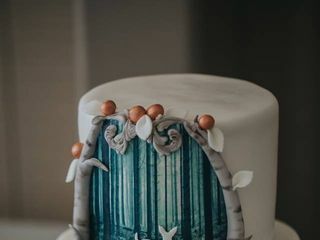 She also assisted us in customizing our cake to fit our wedding theme and decor with beautiful, and homemade, shell chocolates and candy sea glass! Not only did Linda provide amazing service, but our cake and cake pops were delicious and stunning!!! Thank you for being such a fabulous vendor and for our beautiful cake & cake pops!!! We truly appreciate your excellent service, and hope this review helps you secure many more happy brides & grooms! Our wedding cake was amazing! The design was so simple yet so unique and it was DELICIOUS! The cake tasting was a lot of fun too. We met Linda Lee at a bridal expo and once we had a sample, we were hooked! We ended up doing a 2-tiered carrot cake with 200 mini cupcakes in 7 different flavors. While we only had the cake during the cutting, our families were able to save a few dozen of the cupcakes and we devoured them throughout the week. Everything was DELICIOUS and they make everything from scratch!! Thank you, Linda Lee and Cakes So Simple! !